I am a lover of anime and manga. And this love is not exclusive for One Piece. In fact, the very first anime i watched was Naruto. While watching i’ve always wondered about who is the strongest Hokage. I’ve debated the issue with many of my otaku friends as well, resulting in endless discussions about it. But before we answer the question, let me first introduce the other anime category. Because of the fact that i love other anime too, i decided to let myself slack off here and there and diverge from writing exclusively about One Piece. So, moving forward you can expect random posts on other anime and manga as well. It may be Naruto(one of my favorites) or any other anime or manga for that matter. Here, i want your suggestions. Any anime or manga you want me to cover? 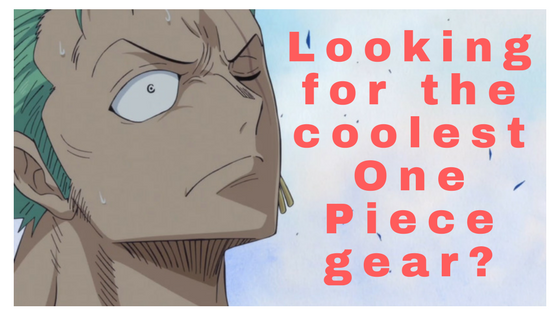 Any feedback as to whether you like One Piece Theories branching out to other anime except One Piece or not? Your ideas are much appreciated. For now, lets get back to today’s discussion. These days, i am rewatching the original Naruto series with my girlfriend, as i decided to introduce her into the world of anime(a third attempt after making her watch Death Note and Code Geass, but that’s a whole other story :P). 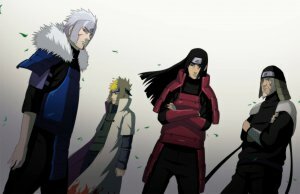 For the purpose of this post, i will not bring Tsunade, Kakashi and Naruto into the discussion, as i want to keep this comparison between the 4 original Hokages. The man called the god of shinobi. In terms of raw power he is probably the most powerful of all the Hokages. His chakra is even feared by his brother. Lets remember that he just raised his chakra when Sasuke and Orochimaru revived the Hokage during the fourth shinobi world war. We shouldn’t forget that this is because he inherited the chakra of Ashura. In his prime, he fought on par with Uchiha Madara resulting in their legendary statues in the Valley of the End. His Mokuton bloodline limit is a power that could go as far as to suppress the power of the Nine Tails and fight evenly with a complete Susanoo! His power doesn’t stop there, with him being able to enter and fight in Sage Mode, making him a total beast really. But the guy wasn’t just power and badassery. Hashirama also held high ideals and wanted to bring true peace to the shinobi world. After all, that’s why he founded Konohagakure together with Madara and the Uchiha clan. He didn’t achieve his vision of complete peace during his lifetime. However, his ideals and the feats he achieved, remained as a legacy to shape the future of the shinobi world later on. The brother of Hashirama and the man who became the second Hokage. He certainly stays in the shadow of his brother. However, it would be idiotic if someone ditched him just for that reason. After all, he co-founded Konoha with his older brother. What is more noteworthy about him though, is that throughout his lifetime he strived to achieve political stability in Konoha. For that reason, he was especially wary of the Uchiha clan and that’s exactly why he formed the Konoha police. However, he didn’ stop there. He introduced many other institutions that basically ensured the prosperity and continuity of the village of Konoha. That’s why his strategic moves were probably the most influential among the Hokages. 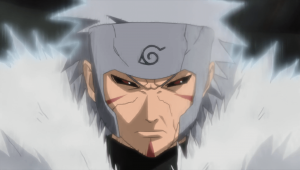 Talking about power only, Tobirama was certainly a beast. High chakra reserves and unbelievable speed, certaily one of the fastest shinobis in history, if not the fastest, were his physical characteristics. As fas as ninjutsu is concerned, he invented many innovative techniques, such as the favorite of Naruto, the Shadow Clone technique, the Impure World Reincarnation that Orochimaru perfected later on and many others. He wielded a sword and could even cast a Perpetual Darkness ninjutsu, that even Hiruzen Sarutobi couldn’t dispel. He was the strongest water element user in history. He could use suiton techniques without even having a source of water around. He also created the space-time ninjutsu technique to teleport himself to any location he had already marked, the one Minato later perfected. The third Hokage has also been called God of Shinobi along with Hashirama. Another of his titles has been the Professor, due to him knowing all the ninja techniques that existed in Konoha. He could use all five nature transformations. However, he mostly used earth and fire techniques. His sensei was Tobirama, while he also received tutelage from Hashirama. His students were the legendary Sannin, Jiraiya, Tsunade and Orochimaru. One of his greatest feats was that he managed to defeat the reincarnations of the first and second Hokage in his fight with Orochimaru, while also being able to seal all of Orochimaru’s techniques. The question arises. Is he stronger than the first and second combined? Probably not, because their reincarnations weren’t as powerful as the originals. He became Hokage after the death of Tobirama and a second time after the death of Minato Namikaze. He kept the position for the longest and as a result many generations of shinobi stemmed from his guidance. The man known as the yellow flash of Konoha, known for his speed and perfecting the space-time ninjutsu of Tobirama. He died during the attack of the Nine Tails in Konoha, being able to seal part of its chakra into his son Naruto with his original death reaper technique. He was the student of the legendary Sannin Jiraiya, who later also became the sensei of Naruto. He himself was the sensei of Kakashi, Obito and Rin, a really important team as well. During the Konoha Crush, everyone thought he was the only one who could defeat Orochimaru and his death was regretted. He also was the one who created the Rasengan, that Jiraiya and Naruto use later on. He could use Katon, Fuuton and Raiton and summon toads. He had special kunai and used them for his space time ninjutsu. After his reincarnation he could also use tailed beast mode instantly! He used sealing techniques, which Kushina taught him, and could easily enter Sage Mode. He was one of the most feared shinobis in the third shinobi world war. So, who do we think is the strongest Hokage? While all of them were total beasts, i would have to choose Hashirama if i only considered raw power. After all, his fights with Madara were monumental. Hiruzen comes in close, cause he fought the first two simultaneously and won, even though they were reincarnations. Also, he knew the most techniques out of the four. 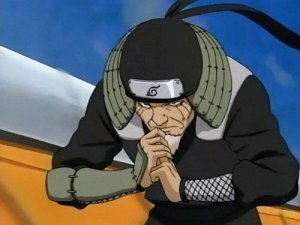 Tobirama should be praised as a pioneer for the techniques and institutions he introduced. He was the voice of logic for the impulsive Hashirama as well. 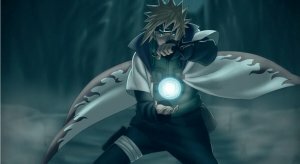 Minato was a war hero, another pioneer of moves and perfecter of others and the father of Naruto. Question of the day–>> Who do you think was the strongest Hokage? Don’t forget–>> Follow us on Facebook and join our newsletter in the sidebar. Anyways, I have watched Naruto many times and have actually wondered the same thing about who would be the strongest hokage. I often thought it would be Hiruzen, but your explanation may have changed my mind to actually thinking it was Hashirama. Hey Caleb! 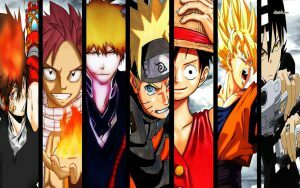 We are all anime lovers here, so you are certainly in the right place! I was feeling so addicted when i was watching Marineford or even the Konoha Destruction or the Pain arcs in Naruto. Code Geass was another favorite i couldn’t stop watching. Hiruzen is probably my favorite Hokage out of all, but probably Hashirama is the strongest in raw power. Like our facebook page for updates and subscribe to our inner circle newsletter, using the form in the sidebar. Cheers! I enjoyed this post, but you are a bit misled in my opinion. Hashirama outpowers all of the other 3 by a lot, so he is number 1. Minato I would put second. He is just so damn powerful that the other countries ordered a flee on sight for him. I would then put Tobirama and Hiruzen. Hiruzen however, could be higher as we never saw his full power. He only defeated the edo versions of Hashirama and Tobirama with the reaper death seal, and they were very weak versions of themselves. Thanks! Love your website! Next Next post: Benn Beckman Power One Piece – How does he fight?